What began as "the little cruise line that could" has evolved into a cruise industry giant. Beginning with a 6,000-ton converted ferry chartered from the Canadian Pacific Railway, Princess operated the small luxury liner between Los Angeles and the Mexican Riviera in 1965. The line now has 17 ships sailing the globe offering a slew of itineraries that range from one to 100+ days and visit more than 300 ports. Princess is part of the industry's giant Carnival Corporation, a merger that occurred in 2003 when Carnival acquired Princess' parent company, U.K.-based P&O Cruises, in a hostile takeover tug-of-war with Royal Caribbean Cruises, Ltd.
More than any other mainstream cruise line, Princess Cruises successfully balances cruise traditions with cruise innovations to offer an experience that suits a variety of travel styles. It offers set-seating dining and more flexible Anytime Dining. Princess' Movies Under the Stars is one of the most popular innovations in cruise entertainment, yet its traditional production shows typically play to standing-room-only crowds. Features include Share, a restaurant helmed by Celebrity Chef Curtis Stone; the Salty Dog Gastropub; theater productions by the creator of "Wicked," Steven Schwartz; and scientifically developed Luxury Beds. These are found on select ships throughout the fleet. Another tremendously popular innovation, which first debuted on Crown Princess, is the Piazza. It was retrofitted onto several older ships, and vastly expanded on Royal Princess, Regal Princess and Majestic Princess. Loosely modeled after the custom of Italian towns as a place to gather, Princess' version, spanning three decks, offers a variety of temptations that include spontaneous performances, a wine bar, shops, and casual eateries like Alfredo's pizza and the 24-hour International Cafe for sandwiches, pastries and snacks. 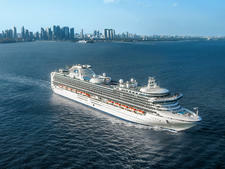 In 2017 and beyond, Princess Cruises is playing a major role in the introduction of Carnival Corporation's revolutionary new Ocean Medallion technology. The concept is inspired by pioneering travel experience innovator John Padgett, who previously created Disney's magic bands. The Ocean Medallion, a 1.8-ounce wearable disc, essentially will serve as a virtual concierge, matching travelers' personal preferences to aspects of cruise vacations, from choosing shore excursions to ordering food for delivery poolside. 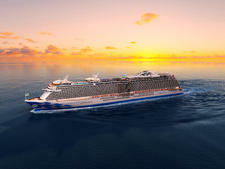 Other features are streamlined embarkation and debarkation, the ability to locate friends and family throughout the ship, more personalized interactions with crew members who also will have devices, and easier ways to access dining and entertainment throughout the cruise. Princess is the first line in the Carnival Corporation fleet to showcase the Ocean Medallion. Seven ships in the newly created "Medallion Class" will be outfitted with the technology, beginning with Regal Princess in November 2017. Others include Royal Princess (January 2018), Caribbean Princess (March 2018), Island Princess (May 2018), Golden Princess (November 2018), Crown Princess (November 2018) and Ruby Princess (January 2019). Princess' fleet basically falls into five categories: Coral Class, Explorer Class, Grand Class, Sun Class and the newest (and largest), Royal Class. Pacific Princess is the only Explorer-class ship -- and hence its name, focuses on sailing more exotic thanks to its small size. 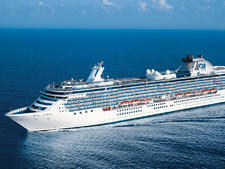 Its Sun Class ships, which include Sun Princess, Dawn Princess, Sea Princess carry 1,950 to 1,970 passengers. These days, they're considered medium-sized ships, with some of Princess' contemporary innovations, such as a high percentage of balcony cabins, a handful of alternative eateries and expanded kids clubs. 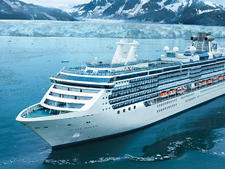 Its two 92,000-ton Coral Class ships -- Coral Princess and Island Princess -- divide their time between Alaska and the Caribbean, offering transits through the Panama Canal. 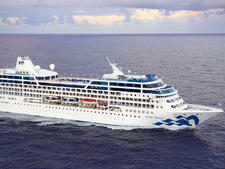 When Grand Princess launched, it heralded a new era (and class) for Princess. Successors, ranging from Caribbean Princess and Crown Princess to Sapphire Princess and Ruby Princess hold between 2,594 and 3,080 passengers. Innovations that debuted with this class of ships (and that were later expanded to others) include Movies Under the Stars, the Sanctuary adults-only sun deck, and the controversial jutting-out balconies of the mini-suites. Princess' newest series of ships, the Royal Class, includes three nearly identical siblings: Royal Princess, Regal Princess and Majestic Princess. Signature features of this newest ship evolution include an expanded Piazza; the first-ever SeaWalk, a cantilevered, glass-enclosed walkway; and an interactive television studio called Princess Live!. Princess Cruises attracts a widespread passenger base, but as its ships vary so widely in style and services, choosing carefully is a good idea. The large and mid-sized ships attract broad, multigenerational demographics -- everyone from solo travelers to family groups will find something they like. Because it's more exotically minded, Pacific Princess caters to more mature travelers who want longer itineraries, more offbeat ports of call and fewer family-friendly elements.